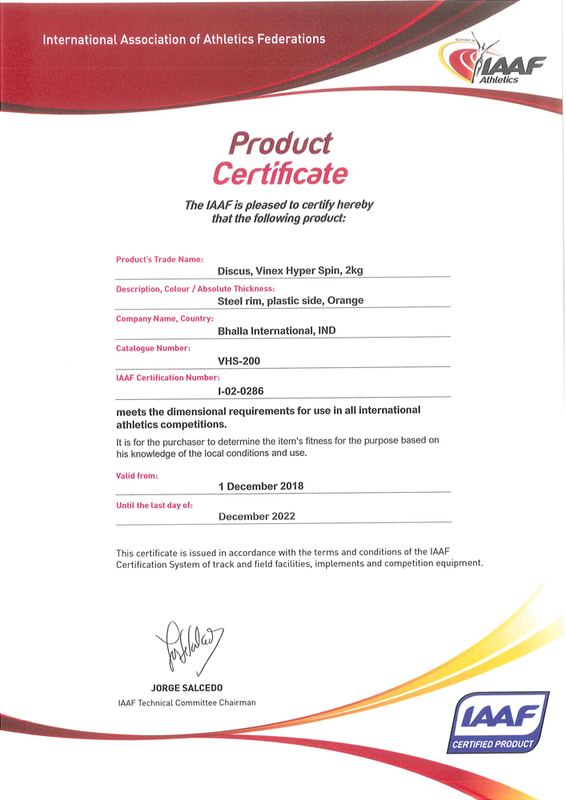 IAAF Certified Hyper spin is a premium quality Discus. This Discus is precisely mastered and designed with JOINTLESS rim. 91% rim weight in the Discus assists the throwers to get remarkable spin, longer distance and extra stability. This Discus features RUST PROOF ALLOY RIM with UNBREAKABLE strong plastic side plates, which makes it one of the best Discus in the world.